Prior to Liverpool's league fixture against Everton, Gini Wijnaldum has insisted that he is expecting a 'big fight' when the Reds meet their cross-city rivals at Goodison Park on Sunday. 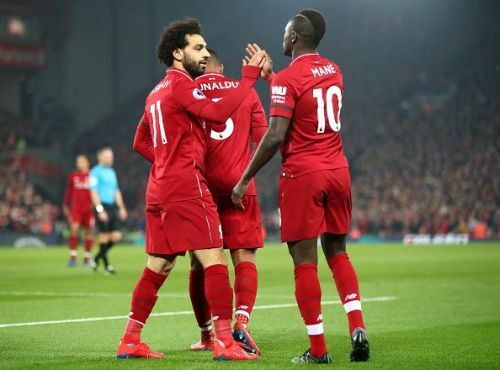 After a disappointing few weeks, Liverpool got back to their lethal best as they beat Watford 5-0 in their Premier League fixture at Anfield. Sadio Mane scored two brilliant goals in the opening 20 minutes of the game to send Liverpool into the half-time break with a two-goal advantage. Divock Origi also found himself on the score sheet in the 66th minute, before Virgil van Dijk capped off a brilliant outing for the Reds with a brace deep into the second half. Liverpool are currently at the top of the Premier League table, one point clear of their closest rivals Manchester City. They are chasing their first league title since 1990 and will play Everton at the Goodison Park next. Speaking to the journalists (via Goal) after Liverpool's 5-0 victory against Watford, Wijnaldum insists that he is anticipating a difficult game when his team play Everton in the Merseyside Derby at the Goodison Park on Sunday. “I expect it’s going to be a big fight. It was a good game last time we played them here. They were really good, better than all the times I’d played them before. I don’t expect them to be less motivated than they were before. I think it’s going to be a difficult game. The Dutchman also believes that the Reds responded well against Watford after back-to-back goalless stalemates versus Bayern Munich and Manchester United. I think the reaction was only because of the season United had, which was not that great. If you collect a point away from home at Manchester United, then normally it’s a good result. Liverpool will play Everton and Burnley in the league next before making a trip to Germany to face-off against Bayern Munich at the Allianz Arena for the second leg of the Champions League round- of-16 tie on March 14.